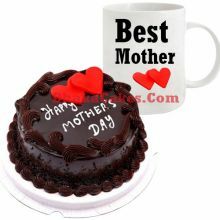 Mother's Day is a special occasions and choosing gifts are supposed to be mean touching hearts directly. 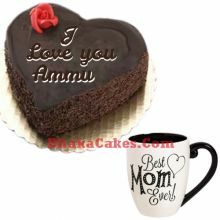 What's a better time of sending cake with mug than while celebrating Mother's Day? 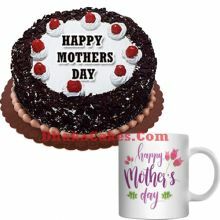 We have one of the best Gifts for Your mother to make her smile. 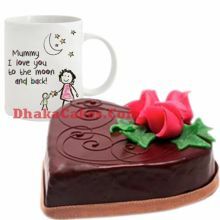 Send fresh cake with Decorated Mug and more to Dhaka in Bangladesh. 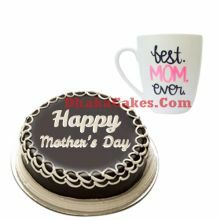 Dhakacakes.com has offers online best an ever gifts in Dhaka for this special Mother's day. 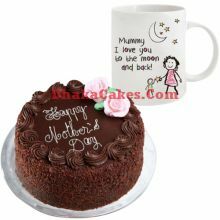 We have beautiful and well arrangement Mother's Day Cake with Decorated Mug and many more.